Contact the best Fence repair company in Chicago today. Osceola Fence Company Chicago serves clients throughout Chicagoland areas as a premier fencing contractor. At Osceola, we pride ourselves on building the appropriate fence for your property using industry-leading products and techniques to ensure a functional, yet beautiful design. 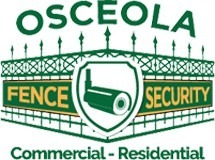 Feel comfortable in the security you will gain working with Osceola Fence. We have been under the same ownership for since 1975 and our iron shop has been at the same location since 1985. The majority of our business comes from repeat customers and referrals. All the work we do custom made per job. We are confident that you will be very happy and proud of the investment you make when you choose Osceola Fence. Contact or call the experts at Osceola Fence Company Chicago today to schedule an initial consultation. We will work with you to determine the appropriate fencing material and design for your unique property.